Almost Home is excited to offer this luxurious 3 bedroom, 2 bath condo with everything you want; the community offers beautiful landscaping, 4 heated pools . . .
My experience with Almost Home was great. I mostly interfaced with Gina, and every time I talked to her about any issues she listened. She was very professional and always tried to solve the problem. Almost Home went out of their way to make sure I was taken care of. I used their services for about three years. . . . I definitely recommend them, and I’ll use their services again if I need to in the future. I loved working with your staff…very professional, quickly responded to our needs and requests, very “accommodating” – no pun intended!!! 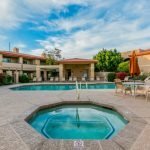 Almost Home offers a wide variety of Scottsdale, AZ corporate housing options for every short or long term furnished apartment need you may have. Contact us today to receive a temporary housing quote customized just for you in your desired area of the city. We wish to help familiarize potential newcomers to life in Scottsdale and therefore provide the following informative summary of various aspects of this city. Take a few moments to acquire the knowledge of a long-time resident before you arrive. Those staying in corporate housing in Scottsdale, AZ for business reasons might appreciate some information about the city’s business environment. More than one-third of all who are employed in Scottsdale work for the tourism industry, making it a major economic driver in the city. The city hosts more than seven million visitors a year, generating more than $400 per tourist per year, on average. This is spent across the wide hospitality infrastructure that includes over 15,000 rooms, 0ver 50 resorts and convention centers that sees activity throughout the year. Similar to Florida, Scottsdale is also home to long term tourists who come here during the native winters. The weather, warmth and number of sunny days is a major factor in this economic consequence. Healthcare is a major industry here that provides significant jobs in primary and peripheral industries related to health care. Aside from the health care institutions that are set up here, like the Mayo clinic which has one of its major centers in the city, there are also major health care insurers, healthcare product manufacturers and other sectors within the healthcare industry set up in Scottsdale. The demographic here that includes a large senior society is slowly trending to towards one that is a little younger and more contemporary. The youth factor in Scottsdale has influenced the kinds of businesses that have sprouted up recently and have begun to place importance on high end retail and shopping. Real estate is also a booming industries with the older generation flocking here as snowbirds in the winter then deciding to stay. Knowing what clothing to bring with you to your Scottsdale, AZ furnished apartment is somewhat dependent on the local climate. Scottsdale is dry and warm for most of the year and is dominated by a desert climate. Summers are extremely hot and range between 95º and 105º between May and October with the highest temperatures experienced in June, July and August. Record temperatures during these months have reached 119º. Rainfall is minimal during the summer months and higher in the cooler months between December and February. Fall temperatures average a high of 89° in October, then cools slightly to night lows of 39° in January. So, be sure to dress right and then venture out of your Scottsdale, AZ corporate apartment to enjoy the wide variety of outdoor activities that this area offers. Being a temporary resident in Scottsdale, AZ corporate housing need not relegate you to feeling like a complete outsider. Acquaint yourself with Scottsdale’s history by reading our brief historical summary provided below. The land that is currently the site of the city of Scottsdale was originally occupied and worked on by the Hohokam tribe. They had been part of the land since 300 BC and were a civilization that farmed the arid land and knew how to design, build and maintain irrigation canals that stretched across a network of over 200 miles. Some of the canals exist till today, which make it a testament to the technology and workmanship of these people. They left the area before any European settlement under conditions that are not fully understood. One hypothesis was that they moved due to prolonged drought. After them, there were a new set of people who settled here, the Pima. The Pima were the people that the Europeans encountered when the first arrived. You can still find members of the Pima tribe living in the Scottsdale area, especially in the South and east of the city. Winfield Scott and his wife, Helen Scott felt there was tremendous potential in the land that hosts the city of Scottsdale. When they first arrived, there was nothing by savannah, sand and old irrigation canals. They understood the potential and invested in it by buying up 640 acres of land priced at $3.50 per acre. The land is where downtown Scottsdale is currently located. Shinbay on N Scottsdale Rd: ShinBay is an authentic Japanese restaurant specializing in sushi, sashimi and tender Wagyu beef. They have a number of other offerings as well, all chosen for freshness and prepared expertly. They are open for dinner daily except Monday, from 5.30 pm to 10 pm. This place is expensive and can cost more then $50 per person per meal. Try the Misoyaki Foie Gras. Il Bosco Pizza on E Becker Ln. : Il Bosco is an upscale pizza restaurant that serves premium pizzas with fresh ingredients that range from figs to goats cheese and prosciutto. You can choose from one of their concoctions or you and build your own pizza. They are open from lunch to dinner daily except Sundays and Mondays. Cafe Monarch on E 1st Ave.: Cafe Monarch is a fine dining restaurant and not a cafe in the common sense of the word. The interior is cozy and tastefully decorated and designed for an early dinner. There is a full bar and there is outdoor seating as well. Prices are above average. Cholla Prime Steakhouse on N 92nd St.: Cholla is open exclusively for dinner every day between 5pm and 10pm. They are moderately priced and offer sumptuous items from Ribeye Steaks with Mushroom Sauce to Creme Brûlée. Ocean Trail on E Indian Bend Road. : Located within a casino, it is a seafood and cajun restaurant that is busy on most evenings. They are open for lunch and dinner and offer an affordable meal. Try the shrimp and Lump Crab Pan Roast. Stepping out of your Scottsdale, AZ temporary housing is bound to present you with numerous interesting activities. We have listed a few possible entertainment options that may appeal to you. Performing Arts Theaters: In Downtown Scottsdale's Old Town district, you will find the Scottsdale Civic Center Mall that holds the Scottsdale center for the Performing Arts as well as the Scottsdale Historical Museum and the Scottsdale Museum of Contemporary Art. The theaters are located conveniently and all three venues have activities throughout the year. Shopping: The Scottsdale Fashion Square holds over 2 million square feet of floor space hosting anchors such as Nordstrom, Macy's, Barney's and Neiman Marcus - all higher end retail stores amidst a number of other retail stores throughout the mall. There are also entertainment and food outlets here. Nightlife: The nightlife in Scottsdale has taken a turn for the better in the last few years. The number of nightclubs, lounges and bars has significantly increased since the recession and targets the increasing younger population of Scottsdale. The unofficial center for nightlife in Scottsdale is located downtown circa Osborn Street and Camelback Street. Whatever your reason for visiting Scottsdale, Almost Home Corporate Housing is your best choice to provide you with a furnished apartment in Scottsdale, AZ that is perfectly tailored to meet your unique housing needs. Call us today to receive a quote or fill out our simple housing request form at the top of this page. We serve the entire Scottsdale area including Phoenix, Chandler, Gilbert Town, Glendale, Mesa, Peoria, Tempe.